Patients are turning to social networks such as Twitter and Facebook for health information, according to a survey by the National Research Corporation. In the survey of nearly 23,000 people in the United States, 16% said they use social media as a source of health care information. For nearly all of them – 94% - Facebook was their site of choice, with YouTube coming in a distant second at 32%. Eighteen percent of the respondents said they turned to MySpace or Twitter for health information. One in four respondents said what they learned on these sites was “very likely” or “likely” to impact their future health decisions. The respondents who used social media were 41 years old on average. People in households earning more than $75,000 were more likely to use social media for health care purposes than households earning less. Another survey out this week found that one in four internet users living with a chronic ailment has gone online to find others with similar health condition. 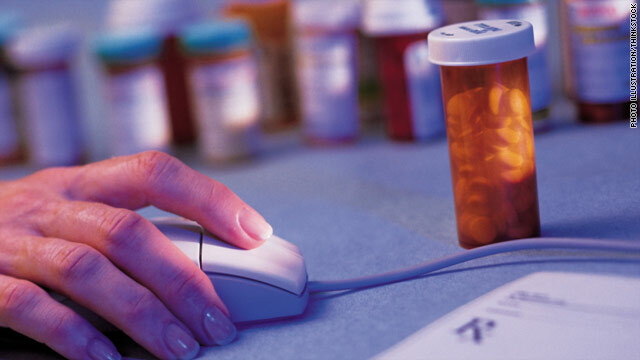 Many of the patients who sought out other patients online have rare diseases. Most of the patients in the survey also consulted with their doctors. “The oft-repeated fear that patients are using the internet to self-diagnose and self-medicate without reference to medical professionals does not emerge,” according to Fox. this is something i have been thinking about for a while. facebook needs to implement some kind of anonymiser so that people can join disease and conditions support groups and be able to guard their privacy. like or not like facebook, it is the pre-eminent social networking site. Absolute agree. This is a great idea! I have a rare form of thyroid cancer. (95% of doctors know nothing about it). On the social networks I found a group of people like me. I learned and got support from this group 10X what I learned from doctors. God bless the social networks. There's a new site called HealthTies (http://www.healthties.com) where people can anonymously share stories of their health issues and be matched to people with similar issues to find and share health information and support. Full disclosure: My wife and I developed the site to help other people after we dealt with our own son's difficult to diagnose illness. Good summary of the two recent studies. If I may, another resource for patients and caregivers is my employer, Inspire, with 175 online communities and more than 170,000 members worldwide. We see regularly on Inspire comments like Mr. Kenly made, that patients gain not just information, but critical support, through online communities. We recently released a free compilation of patient stories in recognition of International Rare Disease Day 2011 http://bit.ly/i3oq4v. Not to mention, most people's social network contacts are not paid by pharmaceutical companies to push drugs of dubious efficacy or safety. Looking for health and fitness information online? Check out Holosfitness.com, a free online fitness tool and social network focused on fitness. Holosfitness.com has all the resources necessary to help you get in shape, stay in shape, and lead a healthy lifestyle. How true! Patients connecting with patients is so powerful! As @thenerdynurse puts it - "After snow has fallen, and the road is no longer visible, the journey can be made easier when you follow the tracks already laid in the snow." You said: "41% said they use social media as a source of health care information," but the first line of the press release about the study you linked to says: "One in five Americans use social media websites as a source of health care information." One in five is 20% last time I checked. Which is it? You replied as if you knew what you were talking about. HOW DO YOU MESS THAT UP WITH TOOLS LIKE COPY & PASTE? (I can give you a period of instruction on how to use them if you'd like. I'll let you correct yourself before I say anything more.